At least three construction-related fires broke out at the site of Ontario's largest wind energy project in the weeks leading up to Parry Sound 33, the massive wildfire that destroyed thousands of hectares of wilderness last summer. CBC News has obtained exclusive new footage. The forest was tinder dry. With no rain in weeks, the parched grass in the undergrowth had turned to straw, prompting fire bans across northeastern Ontario. CBC News has learned there were at least three construction-related fires at the Henvey Inlet Wind (HIW) project in the weeks leading up to Parry Sound 33, the massive wildfire that torched thousands of hectares of wilderness along the northeastern shore of Georgian Bay — a destructive path that started at the construction site on July 18. The three previous fires were reported to the province at the time. In one case, officials even had to dispatch water bombers to help bring the fire under control. But a heavy truck operator who worked at HIW tells CBC News there were many more small fires during the same period prior to Parry Sound 33. Wayne Hollis says the little fires were quickly contained, but ought to have been a clear sign that construction work should have been halted, or at least minimized, to protect the parched forest. He says the companies behind HIW took "unnecessary risks" to keep the work going. "This could have been avoided," said Hollis, who believes he was laid off for sharing similar information about the fires on social media. "The weather was really, really dry. Things were very volatile on the ground." Watch: Former HIW worker Wayne Hollis​ describes how the fires started. The wind farm was already months behind schedule, as crews cleared roads and prepared foundations for 87 turbines. Only a handful of the large windmill towers were up last July. The project is a partnership between the Henvey Inlet First Nation and U.S.-based Pattern Energy Group LP. They need to have the entire wind farm operational by next spring or risk losing their contract to supply wind power to Ontario's electricity grid. Provincial officials have been interviewing workers, including Hollis, as part of their investigation into the cause of Parry Sound 33. Their findings are expected to be released by next summer. 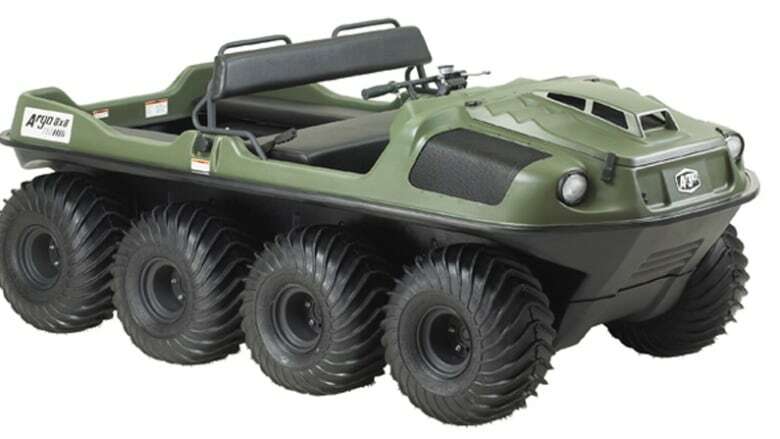 But CBC News has learned several new details about the province's investigation, including that forensic investigators have seized a crew's Argo all-terrain vehicle that caught fire at the very spot Parry Sound 33 is believed to have ignited. CBC has also obtained exclusive footage that shows how explosives were used at the wind farm site earlier in the season. The footage was reviewed by three independent experts, each of whom raised safety concerns. 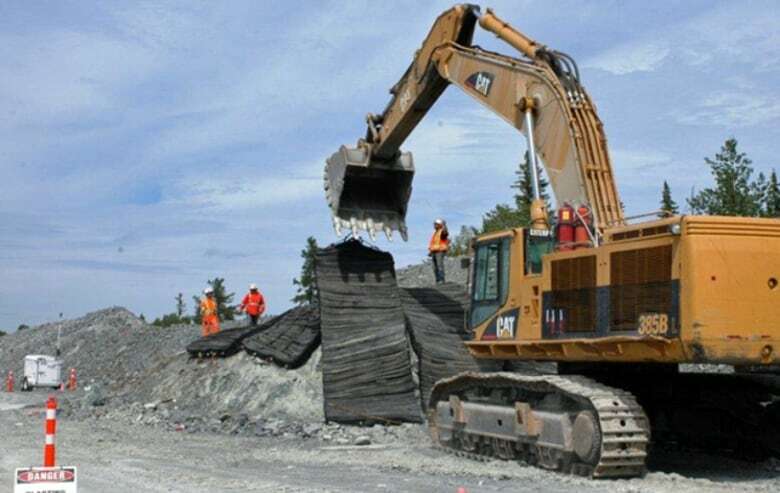 The companies involved insist they were following strict protocols under Ontario's Forest Fires Prevention Act, and that the Ministry of Natural Resources and Forestry (MNRF) never issued any orders to stop work on the project despite the increasingly dry conditions. On July 18, water bombers were called to the Henvey Inlet First Nation, as work crews struggled to control a fire. Despite the best efforts of firefighters, the blaze quickly spread. It jumped the Key River in a matter of days and consumed more than a dozen cabins and cottages. Over the next two months, Parry Sound 33 destroyed 11,000 hectares of forest on the First Nation territory and in French River Provincial Park, a historic canoe route for Canada's early fur traders. Watch: The Burkes give a tour of what used to be their cottage. All that remains from the family cottage of Jean and Alan Burke are ashes, a stove and a few metal scraps. "This land we're standing on, this burnt carcass, is not worth anything. It's gone emotionally," Alan Burke said. "Maybe we'll get that back. But the land is really in such horrible shape." Watch drone footage recorded by Scott Lorriman​ in October that shows Parry Sound 33's path, from the Key River stretching north into French River Provincial Park. The province has confirmed HIW reported fires to ministry headquarters in Sudbury on May 17 and June 22 and 23. In the case of the May 17 fire, provincial officials had to dispatch water bombers to douse the out-of-control blaze. The June 22 fire was contained by workers without help from Ontario fire crews. Watch footage from the June 22 fire at the HIW site. But Wayne Hollis says during that time, workers were often dousing spot fires caused by blasting or machinery working in the rocky forest. Heavy machinery like excavators scrape the rock, causing sparks, Hollis says. "Sometimes it would cause fires to spark up," he said. "That went on a couple times a week ... because the conditions were so dry." Hollis says he was laid off by his immediate bosses at Gervais Forest Products, a subcontractor, after posting on social media about the previous fires and the ongoing fire risk as Parry Sound 33 grew. "My boss was getting pretty mad at me for talking about it. I received threats that I'd be sued," Hollis said. "My boss said that the company from the States was a big, powerful company and that I don't stand a chance." His ex-boss, Bruno Gervais, flatly rejects Hollis's allegations about why he was let go. "Absolutely not!" Gervais said, when reached by phone. "He can say anything he wants. I have nothing to say. I'm still on this project, so I'm not saying anything." Hollis recently spent time in jail for a violent domestic assault. He acknowledged his criminal record to CBC and concedes that some people might question the veracity of his claims. But he says he stands by his story. "I just don't want this to get swept under a carpet," he said. Two other sources familiar with the project confirmed to CBC that they witnessed smaller fires in the lead-up to Parry Sound 33. Pattern Energy and its contractor, CER (Quebec-based Construction Énergie Renouvelable), declined CBC's requests for interviews. In written statements, Pattern and CER both insist blasting played no role in any of the construction-related fires, or in the one that started on July 18. CBC has no evidence to suggest otherwise. But it has obtained two videos of previous blasting on the site. Experts say that while the explosions may not have posed a huge fire risk, the footage does raise questions about whether proper safety measures were being followed. The first clip, recorded on June 11, 2018, shows large chunks of rock showering into Georgian Bay. Watch footage of an explosion at the work site on June 11. The second clip, which is undated, shows debris flying high above Henvey Inlet's forest canopy and through the trees, despite requirements that crews control blasting to protect endangered snakes and turtles. Footage shows another example of blasting at Henvey Inlet. CBC showed the clips to three industry experts who all agree the volume of debris indicates either no blast mats were used or not enough of them to dampen the explosions. "There should be a lot more control," said Wayne Tackaberry, a health and safety adviser in the road construction and mining industry. "Rocks into the lake, from an environmental standpoint, is a definite no-no." Blast mats can also help prevent fires, he says, but they are expensive and time consuming to set up. Pattern would not discuss CBC's findings or what measures are in place to minimize or control explosions. Nor would the company say what caused the previous fires at the wind farm site — other than blasting played no role. While CBC has no evidence blasting started any of the fires, a lack of rubber blast mats would be in direct violation of the project's environmental assessment and the First Nation's permit. As for fire risks, Pattern says its general contractor, CER, submitted a detailed plan to the province on how it would prevent fires and meet provincial regulations. "Construction activities of this nature are permitted to proceed across Ontario in accordance with protocols established by the Ministry," Pattern Energy's Frank Davis wrote in a statement. The province says officials had been working with the wind farm developers since March to "educate" them on how to follow Ontario's fire regulations. "Operators must follow regulations but they don't have to report to us daily," a spokesperson said in an email. 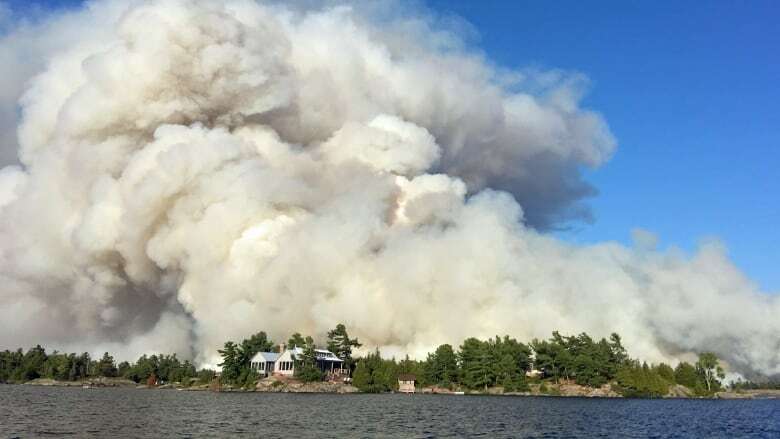 OJ Lorriman, a nearby cottager on Georgian Bay, says she and her husband spotted dust clouds from blasting and large plumes of dark smoke from fires at the HIW site on several occasions in late June and early July. She is furious construction of any kind continued given the dangerously dry conditions. "This is Group of Seven land. This is Tom Thomson. This is beautiful white pines. It's canoe trips. The French River. The Voyageurs. There's so much history in here and it'll never be replaced," said Lorriman, surveying the damaged landscape. A key aspect of the provincial investigation is a burned-out extreme terrain vehicle found at the suspected start point of Parry Sound 33. The ministry seized the wreckage of the eight-wheel Argo, and investigators are conducting forensic tests on its chain, battery and other components. Pattern Energy's Frank Davis, the company's top executive based in Canada, says a small crew was working in the bush near turbine site No. 5 the day Parry Sound 33 started. They were hanging "bird tape," he says, which is used to deter birds from nesting near a construction site. "There is no road access to this area and an Argo is the only practical means of accessing the area," he said in an email. "The crew's role was to hang bird tape prior to construction equipment entering the area." 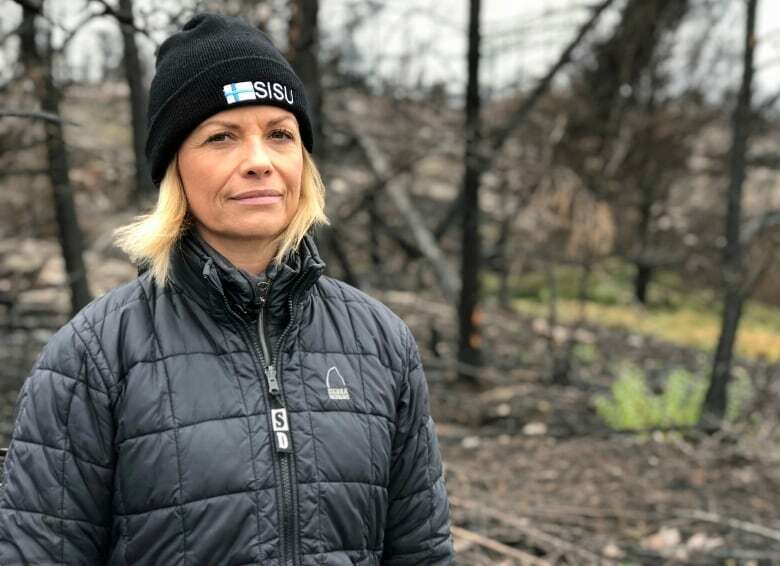 Lisa Kivinen, co-president of the Key River Area Association, wonders why any vehicles were in the bush given the extreme fire-hazard conditions across the region. 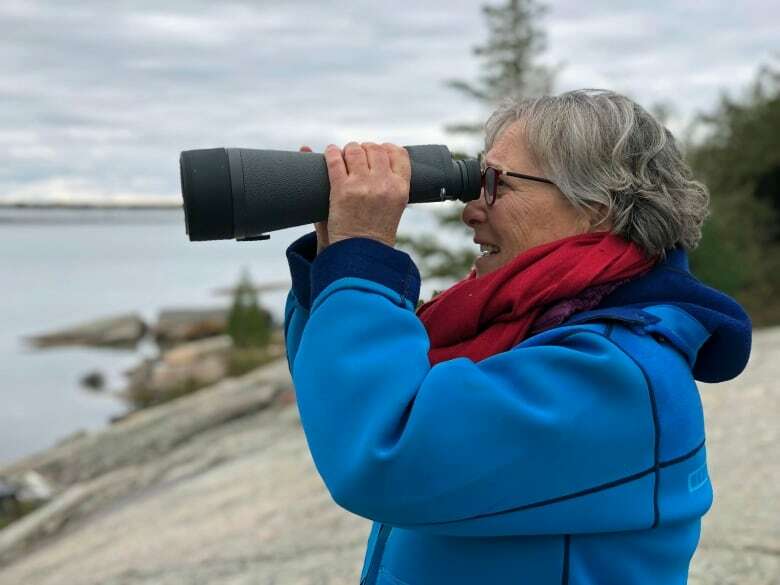 A cottager since she was a young child, Kivinen fears the charred forest that sits on an inhospitable rocky terrain will take a century to rebound. "The rock crumbles under your feet like egg shells," she said. "We walked for miles the last few days and not to see one bird? You know, I don't know how you can put a value on that. Dave Seglins is an investigative journalist whose recent work includes exposés on global ticket scalping, offshore tax avoidance and government surveillance. He covers a range of domestic and international issues, including rail safety, policing, government and corporate corruption.